As is the case for mitigating climate change, offsetting the considerable impacts of the degradation of biodiversity on people’s well-being requires both an international agreement and effective collaboration between countries. The desire of decision-makers to try to alter the current trend concerning the loss of biodiversity, and all the ecosystem services they provide, has already been transformed into action by several international conventions and multilateral accords such as the Aichi Targets of the Convention on Biological Diversity (CBD) or the United Nations Sustainable Development Goals (SDGs). The Intergovernmental Science-Policy Platform on Biodiversity and Ecosystem Services (IPBES) is an independent intergovernmental body, created by member states in 2012. It aims to strengthen the interface between science and policy on questions of biodiversity and ecosystem services to support the conservation and wise use of biodiversity, long-term human well-being, and sustainable development. Through its strategic agenda, the IPBES facilitates global assessments of key issues linked to biodiversity, such as the decline of pollinators or land degradation. It also conducts regional and global assessments on the status and trends of biodiversity and ecosystem services that are conducted by a very large number of scientists worldwide, essentially on a voluntary basis. Delegations of the member-states gather each year in plenary sessions to validate the results of these assessments, and to plan the following strategic steps. The IPBES’ next plenary session will be held in Paris, from 29 April to 4 May 2019. In addition, all the observers participating in the IPBES process will meet the day before on 28 April. In its capacity as an IPBES scientific organisation member and observer, the Tour du Valat closely monitors its work or participates in it directly. We actively contributed to the systematic bibliographical revue of the Regional Assessment Report on Biodiversity and Ecosystem Services for Europe and Central Asia, published in 2018 (see the report). As member of several working groups, we also participate in the development of monitoring systems for biodiversity and ecosystem services, for example in the Group on Global Earth Observations Biodiversity Observation Network (GEO BON) and the Ecosystem Services Partnership Working Group on Mediterranean Ecosystem Services (read more). 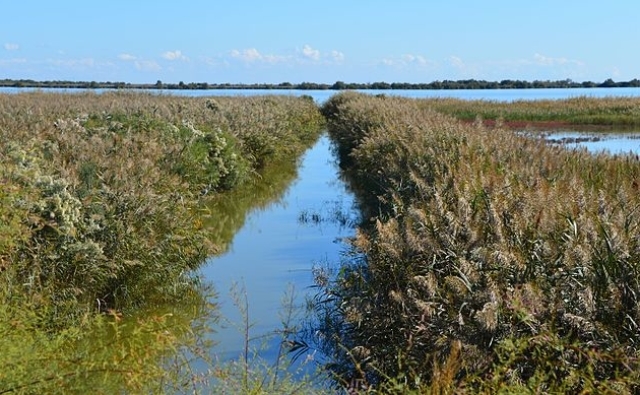 Finally, publications such as the two Mediterranean Wetland Outlook reports of 2012 and 2018 (see the reports), together with the Tour du Valat’s scientific papers, regularly add to and improve IPBES assessments through the knowledge developed on Mediterranean wetlands. 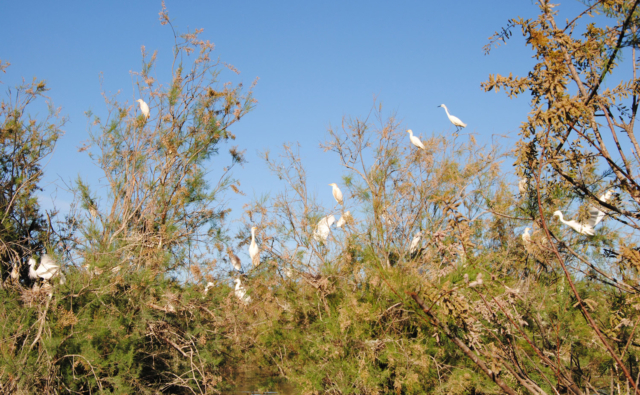 Since 2008, together with MedWet and via the Mediterranean Wetlands Observatory (MWO), the Tour du Valat has been doing major work on informing the delegates of the IPBES member-countries for better inclusion of Mediterranean wetlands and the main issues affecting them in the IPBES assessments. 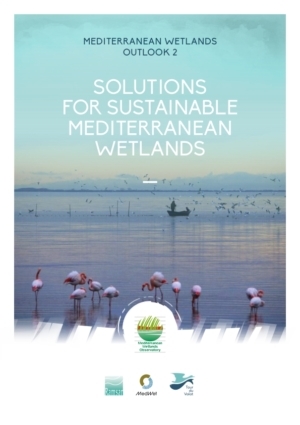 In 2012 and 2018, the MWO published two reports entitled Mediterranean Wetlands Outlook 1 and MWO2 (see the MWO2), which assess the conservation status of Mediterranean wetlands and propose recommendations for them to be better taken into consideration, despite the sometimes complex socio-economic and political contexts throughout the Mediterranean Basin. These two reports highlight a very rapid reduction in the surface area of Mediterranean wetlands (on the order of 45% to 51% since 1970), which is higher than the average worldwide, at a time when the extremely rapid demographic growth of the region (+32% since 1990) makes people even more dependent on the services provided by these ecosystems, for example in terms of food production or water provision. 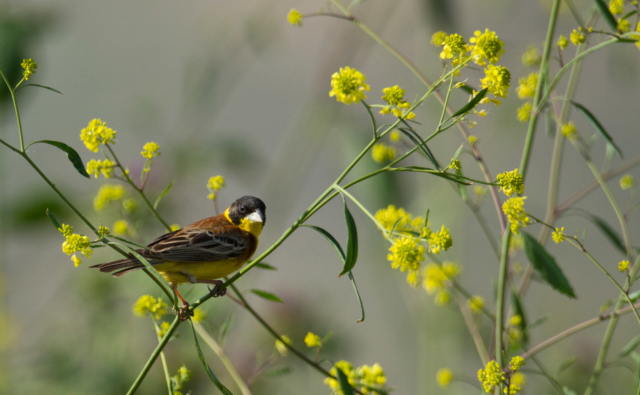 The consequences of this accelerated decline on biodiversity are dramatic, especially for species strictly dependent on Mediterranean wetlands, whether animals or plants. For example, the abundance of vertebrates in Mediterranean wetlands has globally decreased by 15%, with very high figures for certain groups, such as fish (-34%), and also amphibians, reptiles, and mammals (-35%). While some waterbird populations have increased since the mid-2000s due to the effectiveness of protection measures in certain countries in the northern part of the Basin, that is not enough to hide a very alarming global decline. 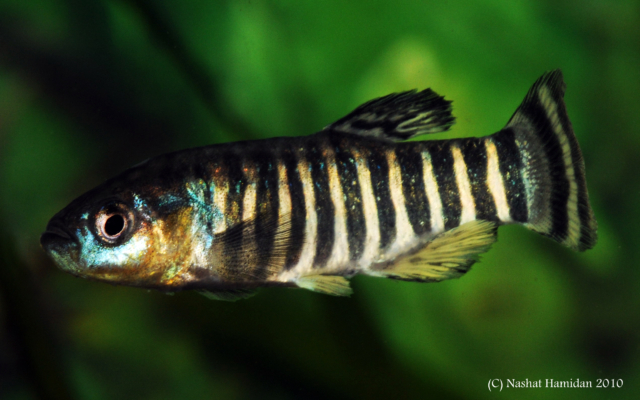 Moreover, the Mediterranean Basin is characterised by levels of total extinction risk among the highest in the world for some species, in particular fish and freshwater molluscs (respectively 40% and 53%). 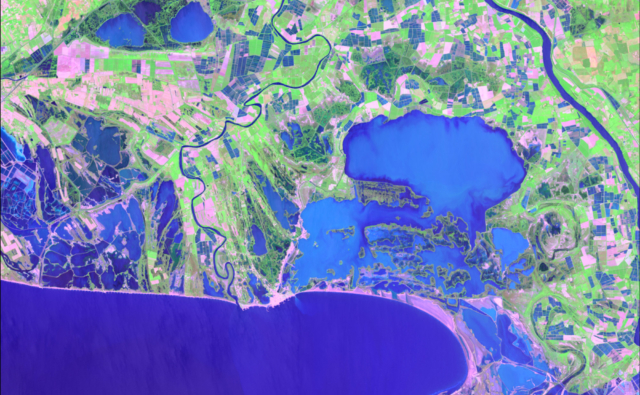 Concerning human and socio-economic issues, if countries want to protect their populations from the impacts of rising seawater levels and flooding, while maintaining their capacities to feed their populations via healthy, sustainable agricultural systems, there is an urgent need for them to start taking better account of the nature-based solutions that wetlands can provide. Such solutions were presented at an international conference held in Marseille in January 2019 (find out more). Ambitious actions are also required to halt the degradation of the functioning of wetlands (particularly regarding the quantity and quality of water resources), and the increased urbanisation of floodable zones. How does the Tour du Valat act, and what can you do? The Paris Agreement on the climate, which resulted from the Conference of the Parties to the United Nations Framework Convention on Climate Change (UNFCCC) in late 2015, had a very high media impact, mainly due to the actions of NGOs. The next IPBES plenary session offers the same opportunity to simultaneously raise countries’ awareness so they can take on the immediate driving forces behind the loss of biodiversity and the degradation of the quality of ecosystems, and promote the sustainable use of nature’s contributions to human beings. The Intergovernmental Panel on Climate Change (IPCC) has had an enormous impact in terms of raising collective awareness worldwide on the issue of climate change. Its work has resulted in a strong message from society demanding that political and economic decision-makers take action on the deep causes of the problem. However, up to now studies have shown that the plenary discussions of the IPCC generally receive much more attention than those of the IPBES. The negotiations and discussions taking place during the plenary sessions only involve the delegates of member-countries. However, NGOS, citizens, journalists, economic stakeholders, and research institutes can seize the opportunity to focus attention on the actions to be carried out to end the biodiversity crisis. Increased communication and more media attention could have a direct impact on the number of people made aware of the problem (for example by reading blogs or the news, watching videos, or through educational projects), which would subsequently tend to stimulate action. Increased attention by society could become a real driving force to put an end to the current status quo, and would be likely to incite decision-makers and economic stakeholders to make different economic-development and legislative choices. The Tour du Valat will be present before, during, and after the IPBES plenary session in Paris to ensure that the issues linked to Mediterranean wetlands are well covered, providing decision-makers with high-quality information concerning the solutions to current issues. 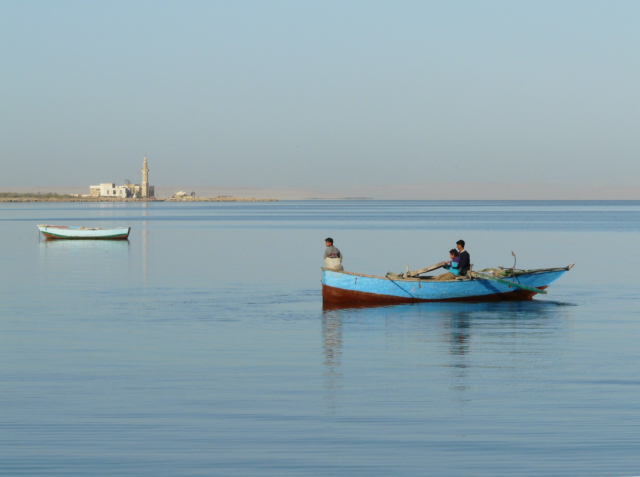 Together with MedWet, Ramsar, and the Mediterranean Wetlands Alliance, the Tour du Valat draws attention to the concrete actions that can be undertaken immediately. Any support would be gratefully appreciated to help us fulfil our role as an ambassador for the conservation of Mediterranean wetlands, seizing the opportunity of the IPBES plenary session in Paris to highlight these extraordinary ecosystems on which many species and people depend directly for their very existence.